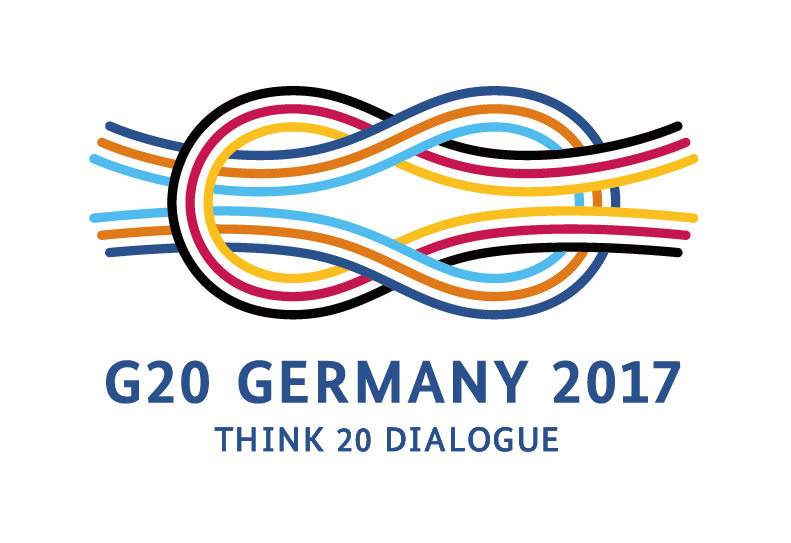 The interaction between flailing global cooperation and domestic political instability requires looking for ways to improve national governance as an integral part of pursuing the global agenda of the G20. This brief proposes to improve the legitimacy and effectiveness of national governance and politics by seeking to better enfranchise citizens through: affirming the rule of law and fighting corruption; regulating the interaction between money and politics much more strictly than is currently done; recognizing the public role of the media and treating the media system as a public good; developing and deepening participatory mechanisms; pursuing economic, not just political, enfranchisement by improving governance in economic organizations; reforming electoral systems that are unstable and polarizing with new voting rules that favor consensus building. Globalization and other trends (such as technical change) have fostered discontent in countries where the gains from growth have been unequally distributed, and in some cases segments of the population have been net losers (Milanovic 2016). This has not only led to questioning the way in which “hyper-globalization” (Rodrik 2011) has been carried out but also to political protest against the elites, sometimes destabilizing political equilibria and institutions. In many parts of the world, inter-community divides are growing and identity politics is being played to attract political support or undermine the status quo. Democratic values lose their support, especially among the young (Foa and Mounk 2016), and authoritarianism is on the rise, bringing eerie similarities with the early 20th century. The interaction between the international scene and national politics is therefore becoming salient in the current configuration. International cooperation is in jeopardy due to some internal failures and misguided orientations in the cooperation programs themselves, but also to political developments happening at the national level. While many aspects of this challenge have to do with global governance and rethinking the goals of international cooperation and the missions and powers of international institutions, there are also political challenges at the national level that need to be addressed jointly with efforts on the global scene. A key problem is that citizens feel disenfranchised when the benefits of globalization are captured by a minority and when the centers of power are becoming increasingly distant from the ordinary household. A new search for legitimacy is ongoing among decision-makers, and the need to better connect to populations and better cater to their need for economic, political and social well-being is strongly felt. How can institutions be improved in order to increase the legitimacy and effectiveness of government in the eyes of the population? This challenge is faced by most countries, and the search for better forms of governance and accountability is not limited to countries with democratic constitutions but has to be engaged by more authoritarian regimes as well, on pains of ending up in violent cycles of repression and rebellion. The main assumption of this brief is that populations need to feel that their interests are taken into account fairly. This does not only require good material conditions (jobs, consumer goods, infrastructures, public services, safety nets) but also a sense that the relative situations of different categories of citizens are not evolving unfairly, with some privileged citizens reaping the lion’s share of the efforts of the population. They also need to be protected from arbitrary power and feel secure in their interactions with public authorities. The Sustainable Development Goals, which have been endorsed by most countries in the world, refer to the overarching theme of “dignity” and “leaving no one behind” to define what people need most as a basic pillar for flourishing in their lives. This is a valuable compass for this policy brief. In addition, populations need to be protected against divisive feelings such as xenophobia or racism, or the feeling that public support is unduly going to undeserving categories. Such divisive feelings are easily stoked and exploited for political profit and undermine the common good. A pervasive problem in most countries is that populations feel that the main decision-making bodies and processes are in the hands of elites that are disconnected from their problems. This phenomenon of “capture” can take the direct form of particular elite members being in charge, with little turnover and very little influence of the disenfranchised population (Bartels 2013). It can also take more indirect forms when people who remain in the shadows wield considerable power through their connections with the officials. The feeling of being disenfranchised and having no control over, and no connection to, the spheres of power is widespread and has been amplified by globalization, since many centers of power have been concentrated far from the populations that they rule or affect. For instance, many European citizens loathe the centers of power in Brussels. The problem of disenfranchisement has been pervasive not only in politics but also in the economic sphere, when citizens feel that their life is disrupted by processes with root causes at the other side of the planet, and when workers no longer have a real “boss” to negotiate with but only an executant of foreign headquarters or managers who respond only to shareholders and financial markets. The feeling of disenfranchisement can foster the development of identity politics, in which citizens are led to focus on their status as members of a core group and on the dangers of the “other”, as a compensation for their loss of economic power, or even as a way to identify scapegoats. Tackling the problem of capture and disenfranchisement requires specific reforms addressing the various forms of the phenomenon. The first protection that citizens need is a protection against arbitrary procedures and erratic changes in regulation that target groups or individuals in a form of repression. Basic freedoms are not a Western fixture and are desired everywhere in the world. Corruption is pervasive everywhere, to various degrees, and is an important obstacle to economic development and social cohesion. It reinforces the feeling of disenfranchisement by granting special privileges to certain categories of the population. Fighting corruption and providing a clear regulatory framework to citizens and investors is a basic pillar of building trust in the institutions, with direct consequences on well-being. It is, however, very hard to reform institutions to eliminate corruption and set up clear rules, when entrenched interests stand to lose from such a reform. Innovation on this front may consist in relying on civil society efforts at unmasking scandalous practices and supporting greater transparency. Garnering the support of active citizens may be key to giving momentum to such a reform. The association between money and politics is toxic. Its nefarious effects appear both ways, when access to power by private agents is used to bolster profits and obtain illicit property grabs, as well as when access to money by politicians is used to consolidate power or obtain unfair advantage in electoral races. These two forms of corruption (of the economy and of politics) are usually associated in a quid pro quo (IPSP 2018, ch. 9). Rules on lobbying, campaign finance and political activities vary a lot across countries. The greater the separation between money and politics, the better. This means that adopting the strictest regulation of lobbying, the strictest regulation of campaign finance, and so on, is the way forward. There are, however, complex issues regarding campaign finance, due to the many possibilities of apportioning public funding of political activities. Grandfathering practices which entrench dominant parties are problematic. Here, a possible innovation consists in relying on polls. Every citizen can be given points to allocate between parties, and parties would receive funding according to the total number of points they receive from the citizens. This is a way of enabling citizens to express their assessment of the parties. In the era of “fake news”, the role of the media appears more important than ever. It used to be a good guiding principle to seek independence of the media from the government as well as business interests. This remains crucial but is no longer sufficient. An emerging issue is that the quality of information is no longer guaranteed when rumors are propagated by everyone, and when alternative media with dubious ethics spread their propaganda. Another worrisome trend is the growing concentration of media empires and the increasing circulation of actors between media and politics, which contributes to transforming politics from “state-craft” to “stage-craft” (Ezrahi 1990). The more general principle which encompasses all these issues is that the media system is a public good (IPSP 2018, ch. 13), in the sense that its integrity and professionalism, its balance and independence, its connection to the population’s concerns, are features that benefit the whole polity by empowering citizens with an accurate view of events and by helping to hold officials and decision-makers accountable for their decisions, as well as fight corruption. Good practices in this domain involve setting independent authorities checking the quality of the media system as a whole (not just a subset of the media) and providing guidance and protection against abuses, possibly including certifying journalists, promoting good deontology, and unmasking unethical reporting; enabling civil society to play a role in the monitoring of the media, either through participation in the overseeing authority or more directly through participatory governance, which is an innovative way to explore, as has been done in Latin America; promoting alternatives to private funding of the media system, by combining public funding and crowdsourcing. There is no stark distinction between democracies and authoritarian regimes, but a spectrum of variations in the degree of capture and disenfranchisement afflicting countries, as well as in the application of the rule of law. Most countries allow for some form of participation of citizens to at least some public decisions. Increasing the scope of participatory mechanisms is an efficient way to reduce capture and the feeling of disenfranchisement. There is a recurrent debate about the pros and cons of direct and indirect participation (the latter involving the selection of representatives). There is also the question of whether elections or sortition (selection by lottery) is the best way to select representatives for indirect forms of participation. It is safe to say that a combination of these various possibilities is preferable to an exclusive use of one formula for all contexts. For instance, citizen juries can be selected by lot while national representatives can be chosen by election, and some decisions can be submitted to direct referenda of the relevant constituency. Many countries (particularly in Latin America) have experimented with participatory innovation, for instance with deliberative councils created for addressing particular issues, management councils dedicated to specific domains such as health care, representative councils giving voice to the under-represented minorities, or national public policy conferences which are multilevel deliberation structures for citizens and civil society organizations. Participatory mechanisms are attractive provided that they are genuine and really empower citizens. An important institutional challenge is to codify them to ensure their integrity while preserving the possibility to innovate. One interesting formula is the creation of autonomous public organizations dedicated to public participation. They are created by governments with the mandate to organize or oversee democratic innovations in specified areas of policy (IPSP 2018, ch. 14). There is generally a presumption that economic competition selects the most efficient forms of organization of economic activity. But it is well known that externalities and public good effects, among other problems, can prevent the realization of efficiency. The phenomenon of capture is actually frequent in economic organizations (Lazear 1995), in particular due to the difficulty for the victims of capture (workers, shareholders and other stakeholders) to cooperate in preventing it. It is not in the private interest of anyone to spend resources to prevent capture, when a good part of the benefits of such action will be shared with many others. A good governance being a public good for the group, it will not be optimally produced by the organization members themselves. Competition across groups (e.g., across firms) could possibly select the governance that generates the greatest surplus for the organization, but the distribution of the surplus is endogenous to the form of governance, and those who stand to benefit from capture may have greater control on the selection mechanism (e.g., access to finance) than those who lose (e.g., workers fearing unemployment cannot put pressure on the firms for a better governance generating greater surplus and a greater share for themselves). As a matter of fact, the form of governance of economic activities is largely codified and, in corporate law in particular, does encourage or at least permit capture at the detriment of most workers and many shareholders. Empowering these stakeholders would require reforming corporate law in most countries. Empowerment can also be promoted by fostering small businesses and self-employment, provided that safety nets similar to those enjoyed by employees are generalized. Innovation here involves experimenting with various forms of participatory economics, aiming at the creation of an ecology of organizations that are adapted to their mission and their sector of activity while providing a substantial level of empowerment to their members (Fleurbaey et al. 2018). Where representatives are elected, in many countries the plurality rule (selection of the candidate with the greatest number of votes) plays a central role, either for the selection itself or for the selection of the finalists in a run-off. The plurality rule is unfortunately vulnerable to “spoilers”, i.e., candidates with little chance of winning against the best candidates on a one-on-one contest, but with enough weight to disturb the ranking and, in the simple plurality count, actually win if votes for the more reasonable candidates are split. It therefore seems important to consider reforming the electoral systems which rely on the plurality rule in some form. Among innovative methods which have proposed and tested, one should consider the approval voting method (Brams and Fishburn 1983) and the majority judgment method (Balinski and Laraki 2010). Both consist in asking voters to grade all candidates. With approval voting, there are only two grades (approved or disapproved), and the candidate with the most approvals wins. With majority judgment, there are more grades (e.g., from “excellent” to “to reject”), and the candidate with the best grade given by at least 50% of the electorate wins (some further conditions apply if more than one candidate satisfies this condition). These methods are robust against spoilers and enable voters to better express their feelings about the candidates. Voters are able to approve, or give decent grades to, more centrist candidates that they find reasonable even if they are not the closest to their own partisan preferences. In this way the candidates that appear acceptable to a large fraction of the population have a greater chance of being elected. This is in contrast with polarizing rules based on the plurality, which give an oversize importance to the candidates supported by committed minorities. Given their tendency to favor middle-of-the-road candidates, rules like approval voting or majority judgment should incentivize political candidates to avoid sewing divisions and convey unifying messages in order to get good grades by a majority of the electorate. Therefore such electoral reforms can not only help the population to better express its preference but can also improve the political climate and the level of political debates. Acknowledgments: This brief has benefitted from very helpful comments by Dennis Snower. Balinski M., R. Laraki 2010, Majority Judgement: Measuring, Ranking and Electing, MIT Press. Bartels L. 2016, The Political Economy of the New Gilded Age, Russell Sage Foundation and Princeton University Press, 2nd ed. Brams S.J., P.C. Fishburn 1983, Approval Voting, Boston: Birkhauser. Ezrahi Y. 1990, The Descent of Icarus: Science and the Transformation of Contemporary Democracy, Cambridge, Mass. : Harvard University Press. Fleurbaey M., O. Bouin, M.L. Djelic, R. Kanbur, H. Nowotny, E. Reis 2018, A Manifesto for Social Progress: Ideas for A Better Society, Cambridge University Press. Foa R.S., Y. Mounk 2016, “The Democratic Disconnect,” Journal of Democracy 27(3): 5-17. IPSP 2018, Rethinking Society for the 21st Century. Report of the International Panel on Social Progress, Cambridge University Press. Lazear E. 1995, Personnel Economics, MIT Press. Milanovic B. 2016, Global Inequality: A New Approach for the Age of Globalization, Harvard University Press.